London find: The Big Easy. A couple of days ago The Boy and I were having trouble deciding what we were going to do this weekend. 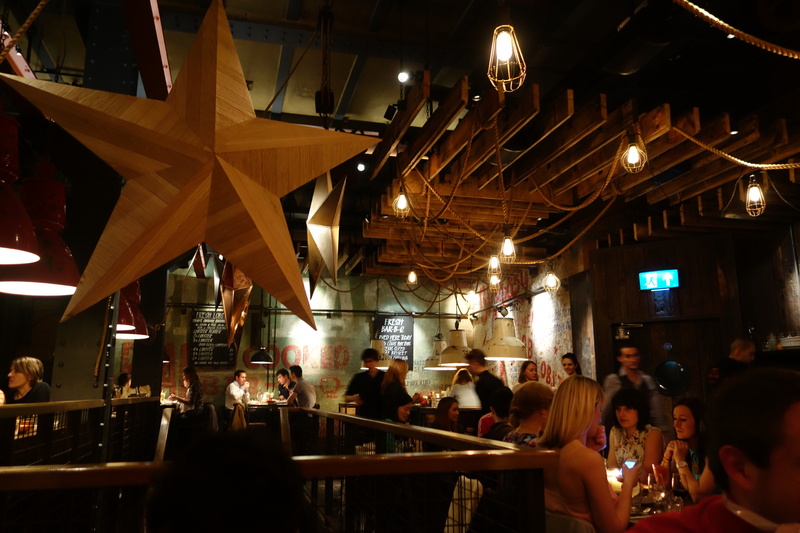 So we consulted our list of restaurants in London that we both want to eat in. 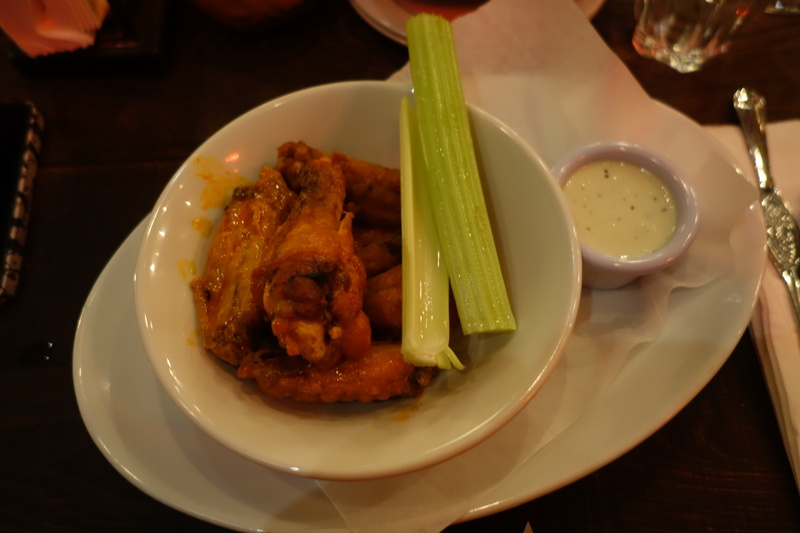 I posted the first 10 in a blog post cleverly titled The 10 places that I want to eat in London. We quickly decided that Number 4: The Big Easy was going to deliver us just want we wanted. A fun night out and some delicious seafood. I am also desperate to visit New Orleans, so I thought that this might do for now (truth is: it only made me want to go more!) 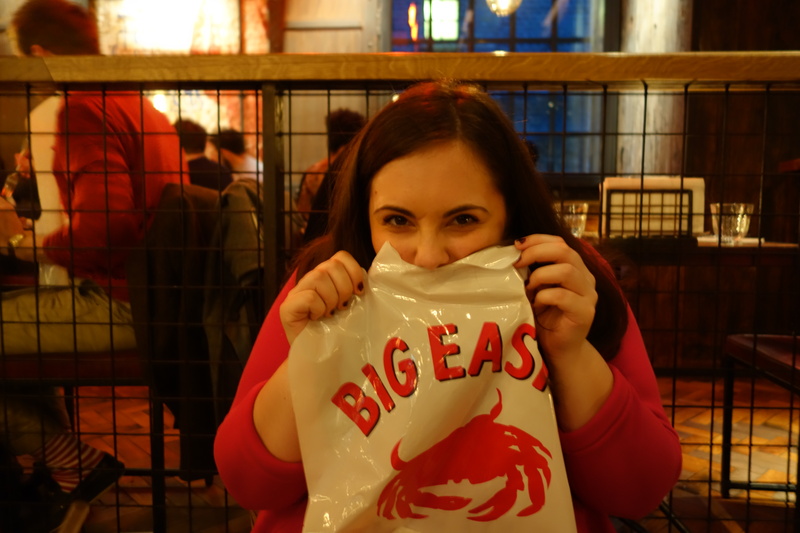 Since I wrote the original list, in the blog linked above, The Big Easy has opened a new restaurant in Covent Garden. The original remains over on the Kings Rd. We decided to check out the new place and I can very much say that this is one of the best decisions we have made in a while. The interior is amazing. I am obsessed with lighting at the moment and theirs blew my mind. 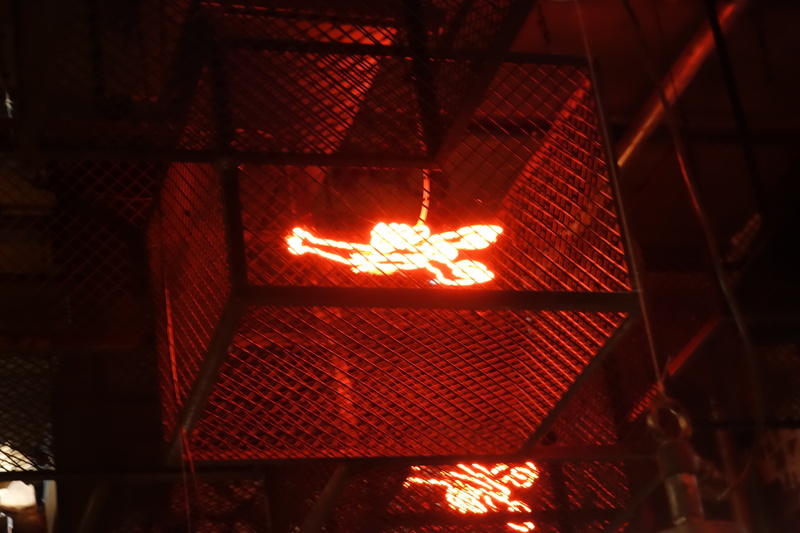 Big, battered industrial bell lights hung close to diners heads and wire lampshades that exposed their bulbs were strung off some fabulous thick rope which lopped all over the ceiling. My personal favourite lights? The Lobster Lights. They were fun and provided such a lovely glow to the room. They are even in a cage so they can’t be cheeky and pinch you whilst you devour one of their mates. Very clever indeed! The place was filled with groups of friends, families and dates (just like myself). I, personally, would love this place for a first date. It is laid back and effortlessly cool. However, if you are the type of girl that doesn’t like to get messy on a first date and have the man/woman opposite you watching as you tear chicken of bones with your teeth or wouldn’t like them to see you giggle uncontrollably (because the lobster is just that delicious) whilst tossing the lobster picks and crackers to one side because they are slowing you down and instead rip into it with your bare hands, then pick somewhere else. Also question if this is the right man/woman for you! I started with the Voodoo chicken wings and The Boy went for the deep-fried shrimp. Here are my wings. They came with Celery and a blue cheese dip. I did not use the dip because the wings just didn’t need it. These were incredibly delicious. I would go as far as saying that these were the stars of the night. Very Deep South- punchy and not willing to make any excuses for being so bloody tasty. I want them again and I want them now!!! 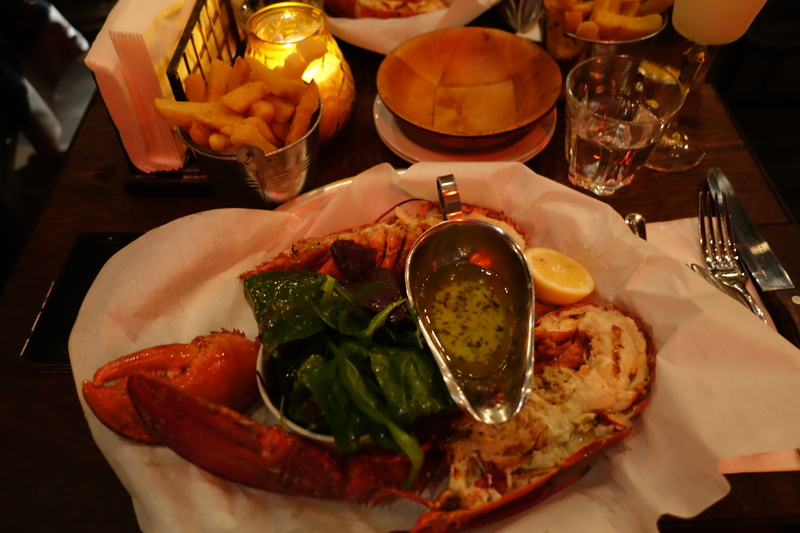 We both then went for the Lobster fest- a 1 1/2lb lobster each with your choice of sauce (I went for garlic butter), fries and salad. The Boy had exactly the same! I spy with my little eye…somebody not wearing their bib! I took to hiding behind mine. I can’t quite remember the reason now! The bar was also super cool. I could quite happily hang out there another evening. The wine is stored in the fridges at the top of the bar. 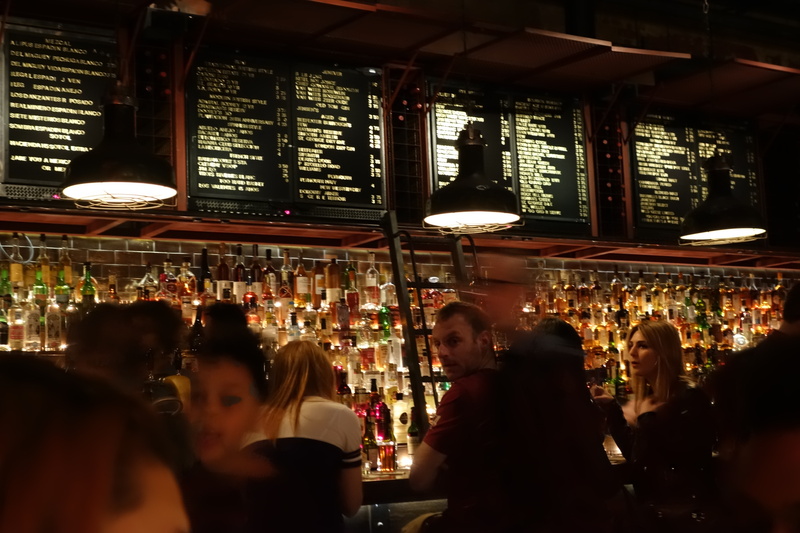 These also double up as the drink menu boards (a very clever use of space) and the whole area is also beautifully lit. I have been to Burger & Lobster many times but I can firmly say that this tops it a million times over. Want to know the biggest reason why? You can BOOK!! I hate long queues for food. The lobster is also bigger and better at The Big Easy. Well done Big Easy- Covent Garden. You are a new firm favourite. Thank you for a wonderful evening. Next Post Fresh Spring Rolls with Mango Dipping Sauce.